Vermont Congressman Peter Welch explains his "Never Again Bill"
Vermont Congressman Peter Welch announced today he plans to introduce legislation that would require furloughed federal workers deemed “essential” to be immediately paid their back salary. This is supposed to be a Congressional district work period, but House members are returning to Washington as negotiations continue. 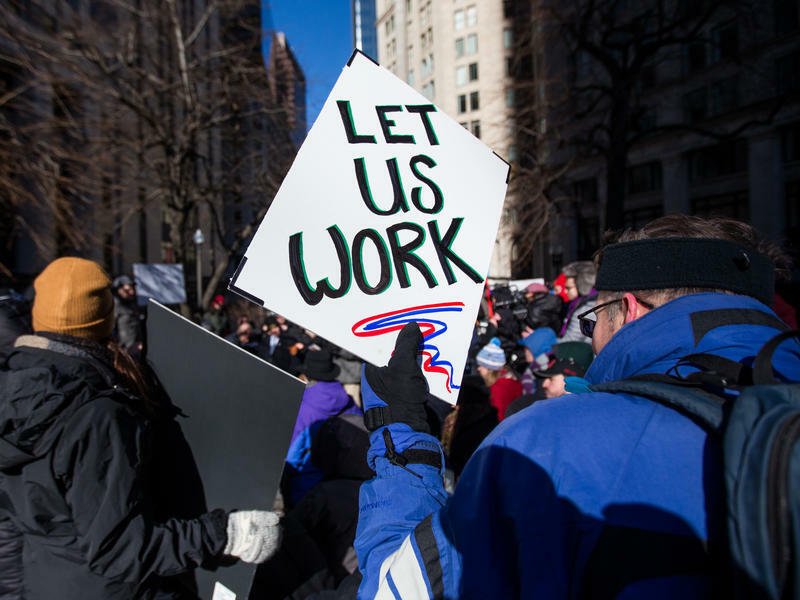 A Washington, D.C., judge ruled Tuesday that furloughed federal workers who are not getting paid because of a government shutdown must continue to do their jobs. It's a setback for the workers who brought the lawsuit against the Trump administration. "Calling people back to work, as the federal government is doing, without paying them is unlawful," attorney Gregory O'Duden tells NPR. O'Duden is general counsel for the National Treasury Employees Union that brought the suit in consolidation with a claim from the National Air Traffic Controllers Association.